2012 Dark Herdsire of the Year! Elf-Paca Meadows, located in Rochester, NH was started in 2005. We specialize in premium true Blacks and Grays. 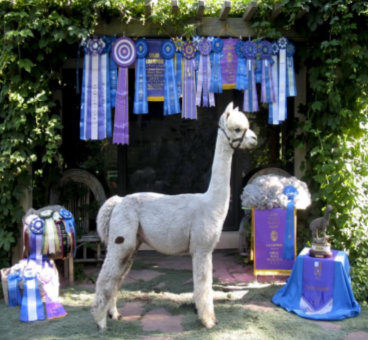 You can visit our alpacas at Elf’s Garden Center or schedule an appointment to visit the farm to talk to us about Alpacas; health-care, breeding and feeding requirements. Check out our sales list and pictures. « See how you can add Aussie .38 Special genetics to your herd!